Party Box Design: Salsa... oh and a Margarita, surely yes- I would love one! Salsa... oh and a Margarita, surely yes- I would love one! I love salsa... L.O.V.E! 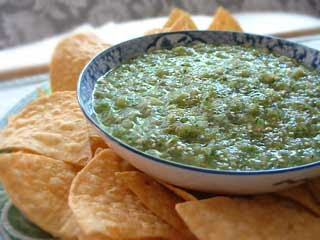 Salsa and tortilla chips, mmmmmm. 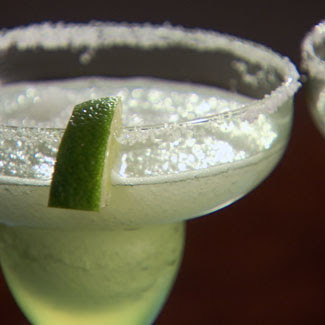 Go ahead and add a margarita if you must, I mean I wouldn't want you to drink alone- that would be rude! 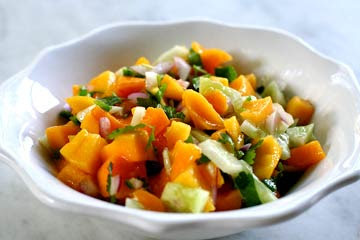 Here are some must try yummylicious salsa recipes! I promise you will not be disappointed. In fact, you may even want to make one of these recipes this weekend, or two! Me too! 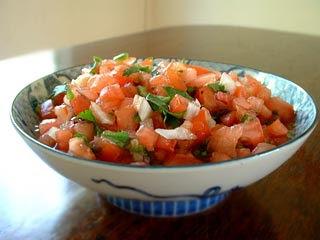 I love salsa my Mom makes some good and very HOT salsa! ohhh HOT salsa is the BEST!!!! I LOVE salsa too!! 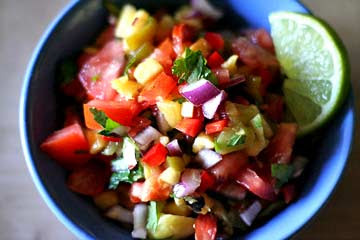 We have a client that brings his homemade salsa every now and again and it's soooo yummy! the pinneapple tomatoe salsa looks SO good! Yum!! mmmmmmmmmm ashamedly my mouth is actually watering right now..